Attorney Frizzell recently concluded representation of an elderly gentleman struck at a pedestrian street crossing by a distracted driver. Client suffered a fractured hip, resulting in permanent injuries and a loss of part time income. We avoided the insurance company’s defense of failure to use available crosswalks, due to our timely interviewing of witnesses to verify the fault of the driver, rather than the client. Case settled prior to suit for full amount of available insurance policy limits. A copy of the order can be read here: ORDER. Waystack Frizzell is currently representing a client in ongoing civil litigation regarding property damage at a residence in Berlin, New Hampshire. As part of this litigation, it has retained an expert engineer from HEB Engineers. Attorneys litigating a completely unrelated case in southern New Hampshire (Merrimack County) have sought to compel the disclosure of Waystack Frizzell’s expert file. Attorney Philip Waystack objected, arguing that the report is confidential and not discoverable in unrelated cases. Attorney Waystack traveled to Concord and argued before Superior Court Justice Richard B. McNamara regarding this issue. The Court agreed with Attorney Waystack, and denied the motion to compel the expert’s file. Please see the full text of the Court’s order by following the link at the beginning of this post. A copy of the Court’s order can be read here. The Carroll County Superior Court issued a ruling on Friday dismissing all parts of the pending lawsuit which included complaints by two county commissioners against former Carroll Commissioner Asha Kenney of Wakefield, and her complaints against them. Back in June 2014, Commissioner David Sorensen of Conway and Commissioner David Babson of Center Ossipee, filed a petition with the Superior Court seeking removal of then-Commissioner Kenney. At the time, the two commissioners explained that their removal petition was necessary because of many complaints brought by several county employees against then-Commissioner Kenney, including claims of harassment and right-to-know violations. Then, Commissioner Kenney filed a countersuit back at Sorensen and Babson, claiming that they were mismanaging several county administration issues. Former Commissioner Kenney did not seek re-election, and her replacement Dennis Miller took office in January 2015. Attorney Sandra Cabrera of the Waystack Frizzell law firm in Berlin, New Hampshire, then filed a motion on behalf of Sorensen and Babson to dismiss Kenney’s complaints against them, arguing that since Kenney was no longer a commissioner, she no longer had standing to bring the removal petition against the other commissioners. Judge Charles Temple of the Superior Court agreed, also ruling that the claims to remove Kenney were no longer ripe, since she was no longer a commissioner. As a result of these two rulings, the pending lawsuit is completed. As of February 2015, Scott has deployed with 3rd Battalion, 197th Field Artillery in support of Operation Enduring Freedom: Spartan Shield. While deployed, Scott will conduct noncombat artillery training engagements with allied nations in the Middle East. Scott will return to civilian life, and his work with Waystack Frizzell, sometime in March 2016. Waystack Frizzell fully supports Scott’s military commitment and looks forward to his safe and speedy return. Waystack Frizzell proudly announces two new associates! We are pleased to welcome Brenda Golden Hallisey and Joseph D. Garrison to our firm. Brenda will focus her practice on family law, social security disability, and civil litigation. She has more than nine years’ experience in family law and social security disability beginning with her three years as an attorney for N.H. Legal Assistance. Joe will focus his practice on Criminal law, personal injury matters, and civil litigation. He has more than six years’ experience in criminal law in the N.H. Public Defender organization in both the superior and circuit courts. Waystack Frizzell is excited to introduce a new Associate! 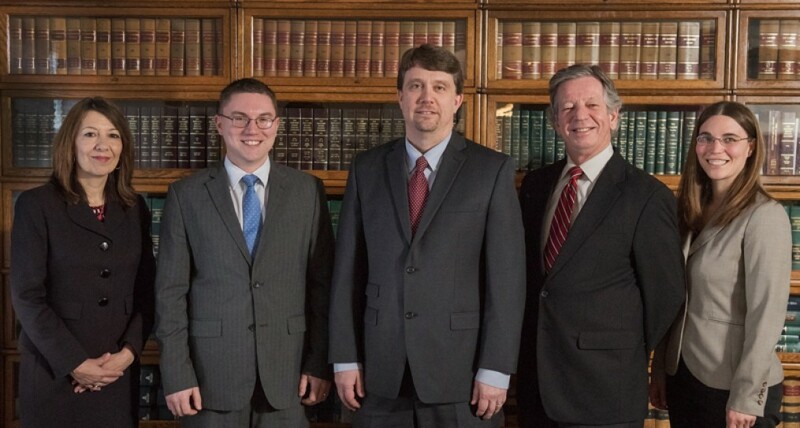 Attorney Scott Whitaker joined Waystack Frizzell in May 2014 after graduating from UNH School of Law. Scott is a Groveton High School graduate and has lived and worked in the North Country for over 20 years. 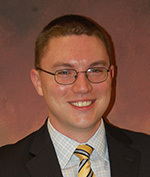 Scott graduated from the Daniel Webster Scholar Honors Program at UNH School of Law; served as Chief Justice of the UNH Law Moot Court Advisory Board in 2013-2014; and participated twice in the August A. Rendigs Jr. Products Liability Moot Court Competition. Scott also worked two summer internships with the New Hampshire Public Defender, one semester with the Criminal Practice Clinic at UNH School of Law, and a legal residency with Waystack Frizzell. For a more detailed background, please see Scott’s biography on our website. Scott’s law practice will focus on personal injury, general civil litigation, and transactions. Waystack Frizzell is proud to welcome such a talented new member to its team. On February 12, 2014, Waystack Frizzell’s associate, Attorney Erin S. Meenan, argued at the New Hampshire Supreme Court. Waystack Frizzell assisted our client in appealing the decision of the Probate Division that denied our client’s request for post-judgment interest on a judgment issued in its favor by the Colebrook District Court in February 2002. Specifically, our client was seeking an order from the Supreme Court stating it was entitled to the accrued post-judgment interest as a matter of law even if the underlying order was silent on the issue. The defendant debtor, appellee, argued that our client’s claim was barred by the doctrine of res judicata and further, that our client’s attempts to collect post judgment interest was contrary to the purposes of NH RSA 524:6-a. To watch the argument click here.